1. Be choosy. 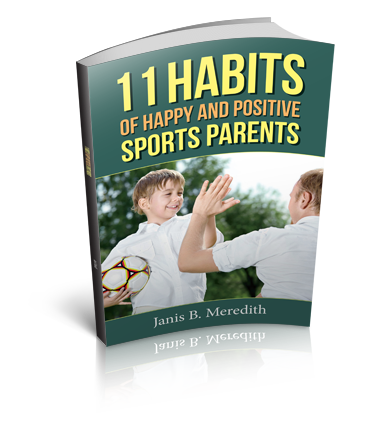 Try one sport at a time per kid. Overloading kids’ schedules not only tires them out and leave them little time for creative freeplay; it also drains our energies and wallets. 2. Start simple. If your child is a beginner, choose sports with less expensive equipment like soccer and baseball; stay away from football or ice hockey. Why spend a lot of money on a sport your child may play for only one season or one year? 3. Buy/Sell used equipment. Try thrift or consignment stores, yard sales, Craigslist, and eBay Freecycle, . Especially if your kids are small and really don’t need the elite equipment yet. 4. Borrow equipment. Ask friends and family if you can borrow. Try an equipment swap with other parents in your community. 5. Buy last year’s model. 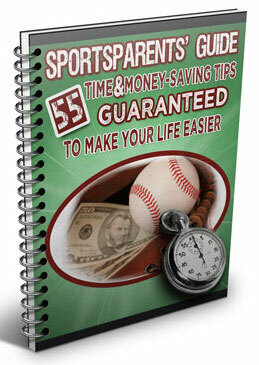 If you know your kid will play a sport next year, buy new equipment at end-of-the-season sales. 6. Compare City vs. Club. When your kids are little, city or YMCA-sponsored programs will give them a chance to play and develop their skills, without a large cost. 7. Carpool to practice. If practice is 5 miles away and you choose to drop off and pick up 2 hours later, you are driving 20 miles per practice. At 3 practices per week you will drive 240 miles per month. If your car gets 20 mpg with gas prices at $3.75, you will spend $45 per month on gas. Carpooling saves money and time! 8. If your child wants to improve in hopes of making the middle school team, here’s an alternative to AAU that my friend Craig Haworth from Winningyouthcoaching.com suggests. Get more suggestions on how to save time and money in my free ebook: 55 Time & Money-Saving Tips Guaranteed To Make Your Life Easier. Download Now.